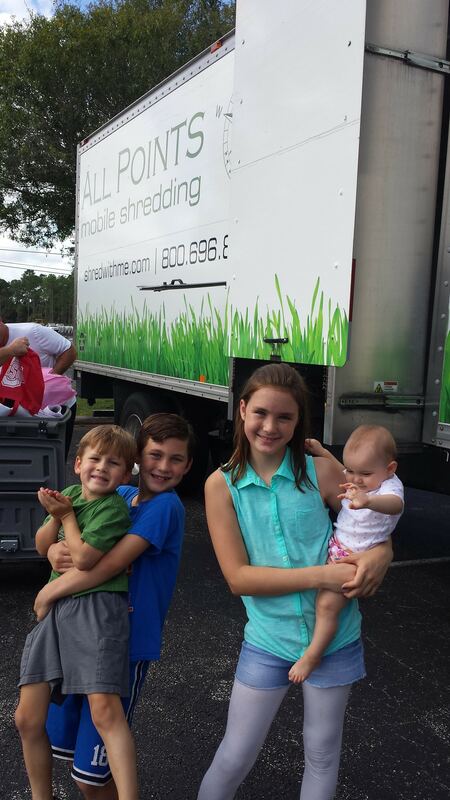 By all accounts, last weekend’s Free Community Shred Day was a big success. The event was hosted by the Arati Hammond Real Estate Team of Re/MAX of Stuart and held at Hidden Oaks Middle School in Palm City. 100% of the donations raised went to the school. The event was free and open to the residents of Martin County. All Points Mobile Shredding’s state-of-the art shredding truck was on-site to safely destroy personal documents. Cameras on the truck allowed residents to view the entire process. Once shredded, 100% of the paper is recycled by a local recycling company and then sent to mills where it is made into paper products that renter the market place. The event was held on Saturday September 27 from 10am to 12 Noon and raised close to $1,000 for Hidden Oaks Middle School. Approximately 120 cars drove through the Hidden Oaks Middle School parking lot, where they were greeted by members of both the Arati Hammond Real Estate Group and All Points Mobile Shredding.